Cornish Rex kittens available to reserve. They have a very sweet nature. well behaved they are so soft and gentle. Kitten been born and raised in home so is use to a household environment. I would prefer an indoor home for kittens or where they could have safe access to a garden. Ready to leave 10th December with second vaccination. Dam. Xasandra Sir. Ch. .TICA. GATODOURO RENAISSANCE kittens. Black .female. reserved Chocolate with white .female. ALL OUR BABIES WILL LEAVE US WITH THE FOLLOWING Registered with either the TICA .None Active. 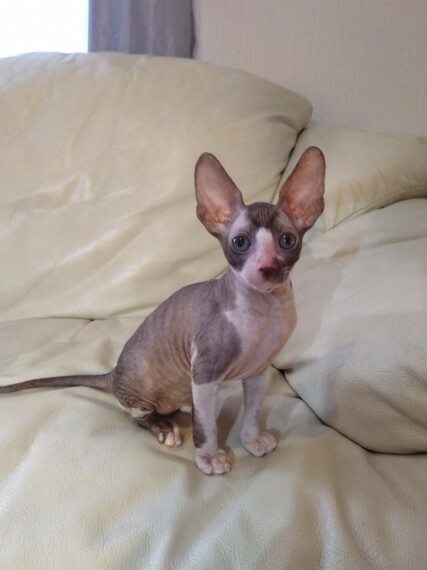 With a three generation pedigree certificate A Happy Cat kitten care pack full of useful information 4 weeks free Pet Plan Insurance Two vet check.up visits Fully vaccinated Wormed Pet Log Micro Chipped And lifelong support from us. Viewing highly recommended at any time after 4 weeks old. 200 deposit secures your kitten PLEASE NOTE . These Kittens are pet home or Show only and placed on the Non Active Register .. NOT FOR BREEDING.. The Price of a Kitten is 650 ..No Offers..